Beaten in the dying strides – life as a horse racing punter can be an agonising affair. Cloud Computing got the better of Classic Empire in the Preakness Stakes. The fresher horse, with the better, less aggressive and more economical ride, won in the end. Open enough looking contest and I take a chance on bottom weight Savannah Slew. Other three year old’s in the field are better fancied and this filly has questions to answer given that she already had eight career runs, is a bit temperamental and wasn’t convincing on her seasonal reappearance. However she should strip fitter now and will enjoy the return to six furlongs, a trip she won two starts back. Ground wise it won’t be a big deal if any cut is left as her two victories came on softish ground although on pedigree better ground is what should be her optimum. A mark off 78 is stiff enough and she will need to improve, though juvenile form gives her every chance given she already ran to an RPR of 81 and should be home in the conditions encountered here at Ripon. After three days full of action at Chester our attention turns to Lingfield for the Derby Trial, though whether this really is a meaningful trial for the big race June is debatable. It’s also worth to have a look across the pond as racing at the Curragh is back! On a day like this, with so much excellent racing on offer, it’s tough to remain disciplined and focused, but I try my best and worked myself through two handful of races and came up with four more or less confident selections for the day. You had to be impressed with Sir John Lavery’s maiden success at Gowran Park last October, but he’s a very short price for a yard that we know doesn’t send their big guns to Lingfield. We haven’t seen him this year yet too, so you got to have allot of trust – which I don’t have and therefore think he’s worth to take on. John Gosden’s Tartini was a fair 4th on his return in the Epsom Derby Trial, he may well improve for the run and will probably be seen in better light here stripping fitter and hopefully enjoying a bit more in-runging luck. However for a price I do feel is over the top the bin Suroor’s Best Solution makes most appeal. It’s not ideal that he has to give weight away, but the Kodiac colt is head and shoulders above the rest on 2yo form where he ended the year with an excellent runner-up effort in the Group 1 Criterium de St. Cloud. His runs in Meydan may be forgiven, he just didn’t take to the dirt. So a return to turf with a bit of cut in the ground could easily see him improving. He has the right profile to be a better three year old and a fair chance to stay the trip. Both three year old’s look intriguing in this contest, however the older Singyoursong is equally a very interesting contender, and in by book a better betting proposition. An improving filly last season, she is still on the up as was evident when she won on her seasonal reappearance earlier this month at Brighton. That day over 10f she produced a nice turn of foot coming from the rear of the field to get up with plenty in hand. A 5lb rise in the mark could undervalue that success. The drop in trip to 1m isn’t an issue as she has is three from six over this distance. Furthermore Singyoursong has course form – she won a valuable Handicap here last July in similar conditions. First time blinkered Pichola Dance could improve for the combination of headgear, drop in trip and drop in class. She found opposition in the Fed Darling on her seasonal reappearance to hot and faded away in the closing stages, however with the rail to aim at from her draw she might use her pace to advantage today. She’s twice a winner as a juvenile, including a good class 2 Handicap over 7f, and ended the season on a high with 3rd placed effort in Listed Radley Stakes at Newbury. With fitness on her side, ground to suit and potentially conditions to improve for, she can run a better race than the price suggests. Market leader Baine has been knocking on the door a couple of times and her two latest efforts have been massively eye-catching that also stand up form wise. She is a horse that needs a bit of luck given she usually races at the rear of the field and certainly at Cork last month she did not get a clear run, finding traffic on numerous occasions stopping her smooth progress. She still finished a strong 3rd behind a well handicapped winner who won subsequently and a runner-up who finished a solid 5th in a Listed contest the next time. Baine went on to run another big race, then at Leopardstown. From a wide draw she missed the kick and was dead last turning for home. She manoeuvred her way through the whole 18 runner strong field but didn’t quite get there, finishing 3rd for the third consecutive time. This is another big field today and she will need to get the breaks when needed, however form wise she looks well handicapped. I feel the better ground does suit her allot today and in this slightly weaker contest she must go very close. 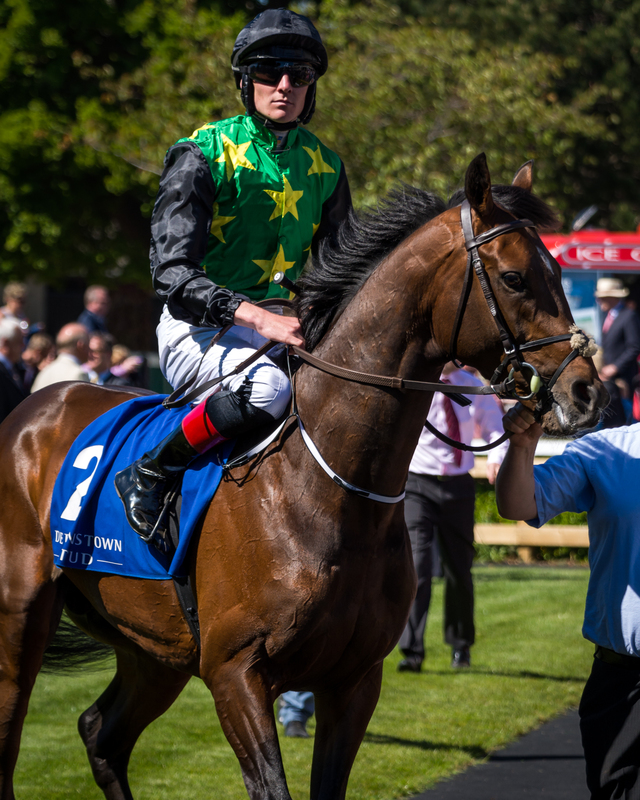 Fact is she ran pretty well in the Leopardstown Guineas trial and with natural improvement and enhanced fitness she had always a chance to go close in what appeared to be quite an open renewal beforehand. Winter got a fine no-nonsense ride by Wayne Lordon – who already sat on her last season when she was still trained by David Wachmann – and once hitting top gear she put lengths between herself and the field. Stable mate and favourite Rhododendron didn’t enjoy the clearest of runs but finished strongly to claim second eventually. At the same time I was over at Leopardstown for the Irish Derby Trial Day. Sunny Dublin presented itself from the best side and that made the day at the races so much more pleasant. The Group 3 Amethyst Stakes went Custom Cut’s way, who finally got his head in front again – it took him nearly two years to do that since he took the Boomerang Stakes here at Leoapardstown back in 2015. A 1000 Guineas Trial only in the name, because the actual field was poor and I’d be surprised if any of the contestants line up up in the Classic. Jim Bolger trained Jim Feasa won the race – a 99 rated individual not goo enough to land a Gowran Maiden at the fifth time of asking only a week ago. Tells you all about the quality of this race. Quality was delivered in the main event, the Derby Trial. Two highly regarded and talked about Ballydoyle colts were thought to battle it out – though in the end both Capri and Yucatan had to settle for minors behind stable mate Douglas Macarthur. I loved to see those famous Jooste colours from South Africa in the winners enclosure. Got a nice colt there with Douglas Macarthur who proved it was no fluke when he ran 2nd in the Ballysax where he also beat Yunatan and Capri. For the future it might well be Yucatan then who turns out to be best of the trio. He didn’t quite get a clear run – though I felt he had every chance nonetheless – and battled hard to the line. 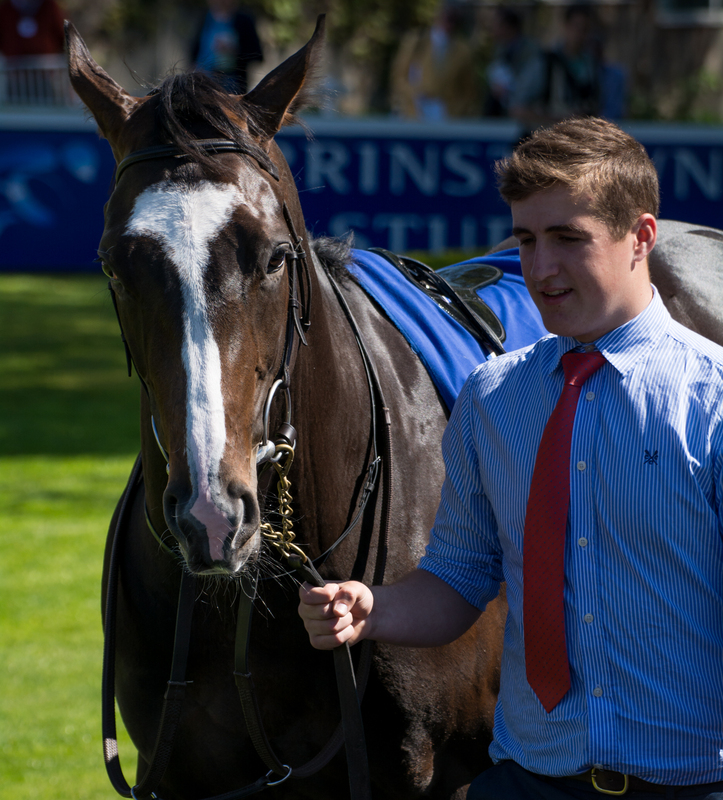 A step up to the Derby trip should not be an issue and he looked simply stunning in the parade ring today. Captain Bob is a very infrequent winner, in fact his last “1” dates back to 2014. However a falling mark seems to have reinvigorate him, particularly on the All-Weather were he has been placed in all his three starts which all came earlier this year. He also took relatively easily to the Southwell fibresand. In fact he produced a strong performance over 6f when only beaten by a head in the end. This piece of form looks rock solid and judged on it he appears now to be potentially well handicapped. He followed up with a fine 3rd place at Brighton subsequently on fast ground over 6f but I feel it this more stamina focused test over the same trip at Southwell suits him slightly better, and probably even more so as we now know he acts on the surface and Captain Bob himself has learned how to race on fibresand. He’s got a good draw and a red hot apprentice in the saddle, so this may represent the best chance in a very long time to finally get his head in front. This is a shockingly poor contest given an 11 year old is favourite and a 20 times maiden is thought to be closes pursuer. However it is the still winless Kodimoor who seems overpriced in this race, despite his desperate record. Reason to believe he can be very competitive is the fact that he dropped markedly in the weights and finished a decent third in an Apprentice Handicap over CD in January, trying fibresand for the first time. That form gives him a big chance of effectively 5lb less, given his mark dropped 3lb since then and the change of jockey allowance taken into account – while it is fair to say 7lb claimer David Egan is quite competent and no worse than Ms. Malune who claimed 5lb the other day. Lightly raced Shergiah should have more to offer now stepping up in trip after a decent comeback run at Lingfield over a mile where a sprint finish did not suit him. However he looked quite good on his final run in 2016 when he landed a decent maiden at Ripon in impressive style, given how well he picked up once asked for full effort. This good looking gelding has still a bit of scope to improve and in this not overly strong race he could get his season off to a flyer. Minding’s back with a Bang! No surprise in the first Group 1 of the new flat season: Evens favourite Cloth Of Stars delivered the goods for Godolphin, Andre Fabre and Mickael Barzelona in the Prix Ganay. Ridden patiently, Barzelona waited for the right moment to make the decisive move. Once in the clear the Son of Sea The Stars powered home strongly. A first success at the highest level for Cloth Of Stars. But should it have been a first taste of Group 1 success for last years French Derby runner-up Zarak? Probably. Soumillon in the saddle had to sit and suffer at a crucial stage of the race while Zarak finished like a train eventually – unlucky! No problems for Minding at Naas. She did it as easily as it gets in the Group 2 Mooresbridge Stakes and she clearly has not lost anything over the winter. She made all from the front and the moment Ryan Moore gave her a little squeeze she stretched swiftly clear. Granted, she was shorts odds-on an clear on the ratings, but still on her return to win so easily is impressive. Next stop on the agenda is the Tattersalls Gold Cup at the Currag. The Prince of Wales’s Stakes at Royal Ascot are most likely the subsequent summer target. Stable mate Johannes Vermeer finished last but got a very light ride with the future clearly in mind. I expect him to come on quite a bit for a run and would not lose hope in him yet. I look forward to see Equiano son Otomo return to the track as a three year old now dropping to six furlongs for the first time. He showed promise as a juvenile, was twice narrowly beaten here at Brighton, although over 7f, and ended the season with two more decent performances. In all his races he showed plenty of early pace but did not quite get home, so he looks ready-made for sprinting. An opening mark of 67 seems reasonable, and any age- plus trip related improvement should see him run a big race. It’s noteworthy that the Hide yard is in good form, with a fantastic record at this track and with Liam Keniry in the saddle. Also Equaino offspring tends to perform incredibly well at Brighton. Well bred Secret Soul was relatively well fancied in her three career outings so far but despite two decent performances she never came close to win. However it’s fair to assume she simply needed the experience and now going handicapping with a pipe opener already under her belt she could improve. She is fitted with first time visor as a reaction to her most recent fourth place at Kempton where tried to make all from the front. It may keeps her focused on the job when it really matters. Given what she has achieved an opening mark of 68 seems slightly on the stiff side. However she ran in and around that level on RPR’s the last two times and clocked fair speed ratings too, so potentially she could be well in, if the combination of experience, race fitness, suitable trip and headgear sees her putting the best foot forward. If anywhere near full race fitness Brimham Rocks should be able to exploit his potentially very lenient opening mark here. His three maiden runs last year have been nothing of note but they were more of educational nature, over partly wrong ground and trips too short anyway. H’s been a very late foal who’s sure to improve as a three year old once stepping up in trip, given this well bred son of Fastnet Rock is out of an Oaks trial places mare. So the 1m 4f trip should suit hands down. Also Brimham Rocks’ sire has a 43% strike rate with offspring at Wolverhampton over this distance. All points toward that this lad is certainly well handicap on his handicap debut. I feel Addicted To You has a pretty good chance to follow up on a recent maiden success over 12f. At Lingfield this Medicean colt made all from the front. He got a bit idle in the closing stage which meant a closer from behind got a bit too close for comfort eventually, but overall it was a convincing win. Now of a 75 rating he could still be undervalued even more so as he steps up in trip which should suit more than it is a problem. He’s got the profile to improve with age and according to sire stats the 1m 6f trip, particular around Chelmsford, should suit. Given Addicted To You’s two sisters both achieved RPR’s of 80+ it is fair to assume that he can still find a bit to get off the mark in handicap company now.